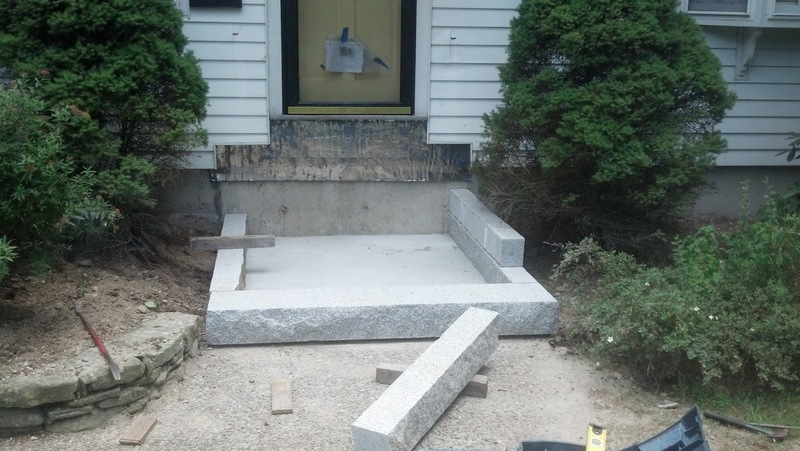 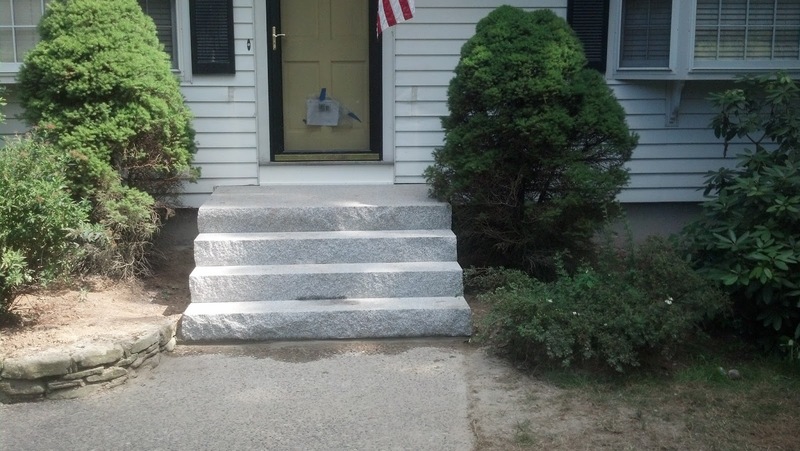 Granite Front Entrance Stairs in Medfield - Hurley-Testa Construction Co., Inc.
HTCCI recently replaced brick stairs that were falling apart with granite stairs and platform. 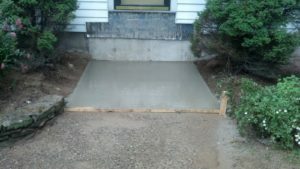 The old stairs were removed and new concrete base was installed. 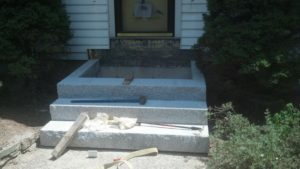 Lead flashing was installed to prevent water migration into the sills/basement. 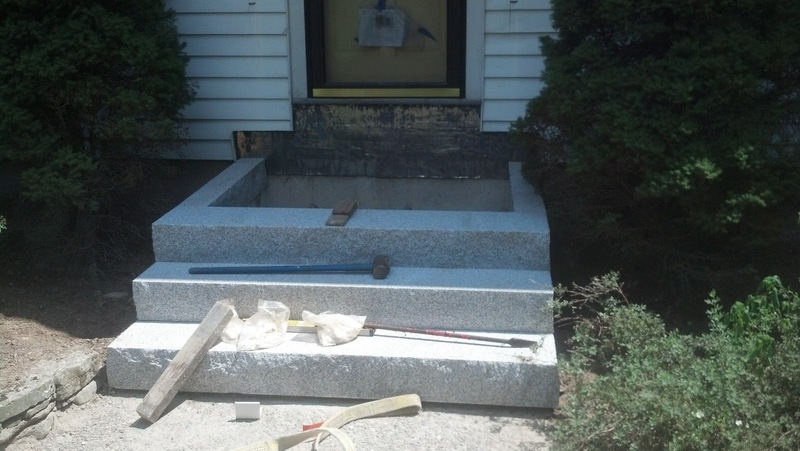 New custom wrought iron railings are being fabricated.